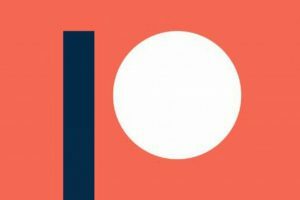 This has been years coming, but I now have a Patreon. You can read all about it on the Patreon page. I started this page because I have had many people ask me over the last five or so years if they can support all the podcasts and content I create for free. It’s been a long time coming! When this journey of making RPG content began more than half a decade ago, I had no idea where it would take me. I am privileged and honored to have so many wonderful listeners, readers, and friends that consume what I put out to the world on a daily basis. The friends who started this with me and those I have made along the way are invaluable. Let me say that your words of encouragement, your help, and your kindness mean so, so much to me. If you’d like to support this blog and my podcasting monetarily, you now have multiple ways to do so. My Ko-fi page was the first way. The Patreon is the second, which offers a few rewards: a survey to help steer future content, some small, exclusive creations, and a monthly Q&A video. These rewards are thank you gifts for support of all the content I already make for free, similar to an NPR or PBS pledge drive reward. If you cannot financially support the blog and podcast, no worries! Money is not an easy thing to come by and other priorities SHOULD take precedent. You can still help out by sharing your favorite posts from this blog, you favorite episodes of Table Top Babble and my other podcasts, and leaving my shows iTunes reviews if you feel so moved. In any case I am thrilled and honored to have so many wonderful people checking out the stuff that comes out of my head and onto these pages and into microphones. You are all awesome. Launch sale! For a limited time this title is $14.99! 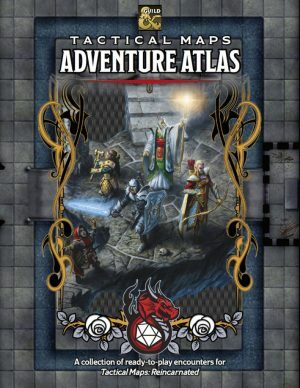 There are previews of Tactical Maps: Adventure Atlas available on its product page on the DMs Guild, but how about one more? Below is a link to a PDF that contains the introduction and one of the maps and its adventures called the Chromatic Vault! Enjoy! Last week I wrote one of my most popular blog posts ever. Thanks to all who took the time to read and comment on my article about changing the way we think of roleplaying game products. 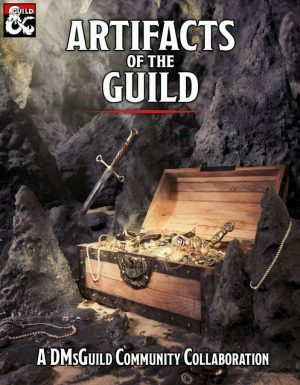 This post is a follow up to that one and is all about making free, cheap, and pay what you want RPG products. I covered this idea a bit in my last post, but I want to expand on it. Why Make Free or Low Cost Products? You may be thinking, “This is the guy who just said $50 is the right price for a single D&D core rulebook. What does he mean offer free stuff?” I do believe that. I also believe free is the right price for the D&D Basic Rules and $20 is the right price for the D&D Starter Set. When RPGs like D&D, Esper Genesis, Troika!, FATE, and so many others offer free or low cost versions of their games, they create easy entry points into the hobby. Even individuals with loads of cash to spare might look at the $150 price tag on D&D’s core rules and think, “But what if I don’t like it?” Offering some (or most or all) of your core rules for free is a cheese sample at the deli. People get a taste with no financial risk then decide if they want to invest more time, money, and energy into this hobby. If you think your game is awesome, give away some tastes for free to back up your claims. Without free and low cost products, RPGs have a big barrier to entry. Free and low cost products grow the hobby! 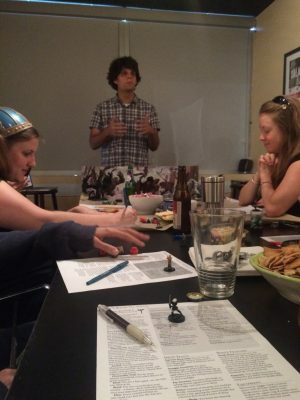 RPGs are a social hobby. You (usually) need more than one person to play. AS such RPGs can bring together people from all walks of life with all sorts of financial situations. Free and low cost versions of games mean that we can all play together at the table. If only one person in a social group has the means to afford the game, it’s very difficult to bring together a group of players (though sharing is an option). Free versions of the game mean more groups can get together and play your game, which also means more people who can afford it buying your products because their friends and family who cannot still have a way to learn the rules. Not everyone is in a financial situation to buy your game. If you put out a free or low cost version not only are you doing a kindness, you’re putting your game in the hands of people who would not otherwise have it. You’re growing your audience, many of who may have enough cash to throw your way someday in the future. Anyone who grabs your free product could become a great marketer for you, telling others about how awesome your game is, and garnering you sales you wouldn’t have had otherwise. 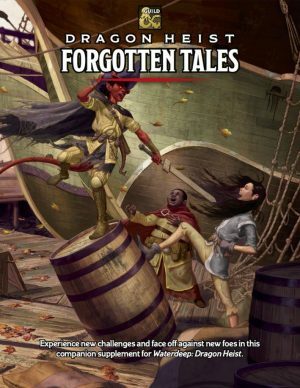 It’s always a good idea to give SOMETHING away for free, even if your product is a short one-shot adventure or pamphlet of new character options. 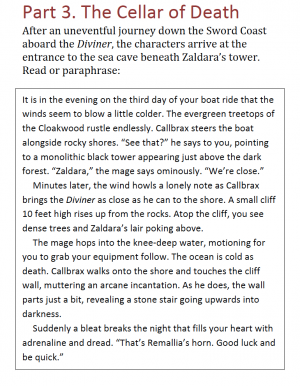 Even if its as simple as the preview function on DriveThruRPG, free previews help consumers determine if your product is something they want to buy. It’s the internet version of flipping through a book in a bookstore before buying it. Always give something of your product away for free, but don’t give everything. When you make a free or low cost product, think about what you want to give away, and look at the market. What do you think works best for you? Do you want to put out all your words without art like Troika!? 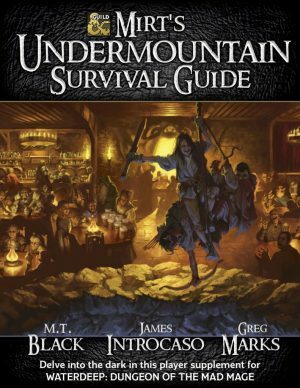 Do you want to offer the minimum needed to play with some very basic art like D&D’s Basic Rules? 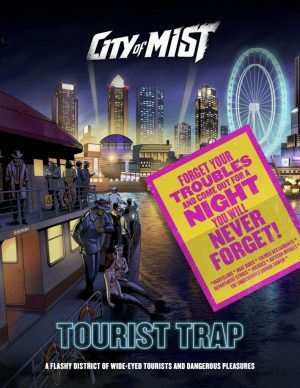 Do you want to create a starter adventure with pregenerated characters and the rules needed to play just through that scenario like the City of Mist Starter Set? There are lots of options out there. Take a look and see what’s right for you. Take a look at this Twitter thread (which started with me posting a link to my last post) for some great suggestions. If you are creating supplements for an existing game and not an entirely new game, you likely don’t need to give away more than a free preview. Remember to not undervalue the work of others or your own work. Give away what you think is right, but make sure your premium or “full” version of the product comes at a cost that gets everyone a good wage. For more on that see my last post. Every year around this time I write a blog post that’s a holiday gift guide for the gamers in your life. This year I want to focus on what I think is the best gift of all for the fellow gamers in your life… your time. Nothing shows a person you care like taking time out of your own busy life to spend time with them. That’s one reason games are so awesome! They’re an expression of friendship. I’d rather play a game with a friend than get a new book, dice tray, GM screen, or game that I’ll never play with them because they’re too busy. Save your dollars, friends. Give me that other resource that’s more precious than cash. Run a holiday-themed one-shot game. Taking the time to run the game and bring your friends together is a huge commitment that counts as several presents in my book. This is an especially great gift if you don’t normally run games. Invite your GM friend(s) over and let them take a break as a player while you run things for a bit. Organizing a game can be difficult, but remember virtual tabletops make life easier! 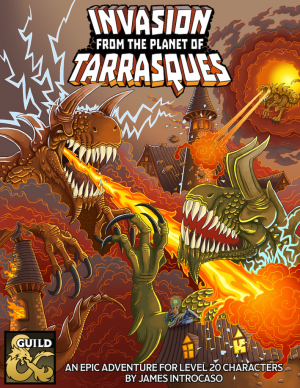 Learn the rules to an entirely new RPG and teach them to your friends. Discovering a new game is super awesome, but reading a book full of rules takes a lot of time and mental energy. Taking that burden from your friends by reading it and explaining it to them is a huge gift! Plus you finally get to take that book you Kickstarted three years ago off the shelf and give it a read. Take some of the administrative work off your GM’s plate. Coordinate calendars to find the date for the next game, write an awesome recap of your campaign thus far to share with the group, or finally send that backstory you’ve been meaning to type up. Tasks like this can be fun, relieve your friends’ stress levels, and make a world of difference for the already burdened GM. Got a game designer friend? 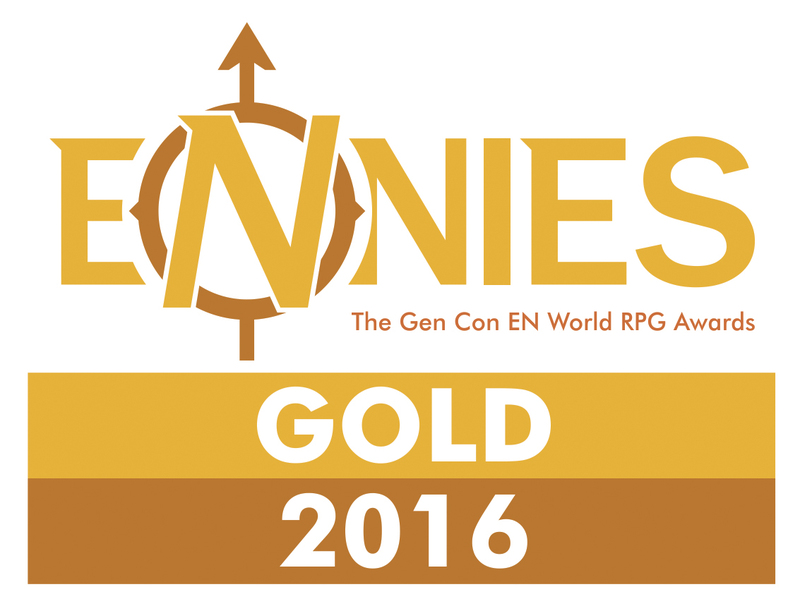 Read their rough manuscript, playtest their adventure, or invite them over for dinner and a brainstorm. Bouncing ideas off people you trust is an invaluable tool for every game designer. If you’re artistic, draw maps, sketch characters, write a song, make a movie, or do something else to show your group how much you’re enjoying the game. If what you create can be used in the game, that’s even better! How else can you give the gamers in your life your time this holiday season? Sound off in the comments below!